Former Fianna Fáil councillor Thomas Clare is contesting the general election in Louth as an independent candidate. 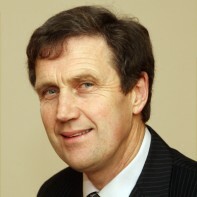 Under the Fianna Fail banner, Clare served as member of Louth County from 1999 to 2009. During that time, he was involved in the foundation of Louth Junior County Council, which aims to involve the county's Transition Year students in local politics, and the Mid-Louth Traders Association. Clare operates a public accountancy firm in Dunleer, Co. Louth. This candidate used to be in Fianna Fáil. This candidate is guilty.